Most pet parents believe that if a dog is found having parasites in his stool, he must be suffering from an infection. However, this is not necessarily the case. Most dogs suffer from infestation at one time or another due to intestinal worms. Endogard is a scientifically proven wormer for treating such intestinal worms present in the tract of intestines. This palatable anthelmintic formulation successfully eliminates harmful internal parasites and further prevents its infection. A product by Virbac, Endogard is a multi-spectrum antiparasitic formula for treating a wide range of intestinal parasites including hookworms, whipworms, roundworms, tapeworms and Hydatid tapeworms. It is also helpful in controlling multiple infestations including Nematodes, Cestodes, and Ascarids in dogs. 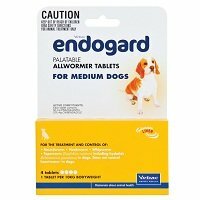 Endogard tablets are highly effective in treating small, medium and large sized dogs. This scientific formulation is powerful in protecting dogs from fatal diseases along with preventing the spread of worms in other animals and humans. This is the only product I use for both of my dogs, it's effective and easy to use, if you've got ham that is. I wrap it in a bit of ham and they take it with no fuss. Lucas easily gets infected with intestinal worms. So, I need to look for the product which works as well as safe for my pooch. Endogard comes as the best option as it works effectively without harming my dog. I love this endogard as it helps to reduce worm infection, just in a day makes a huge difference. 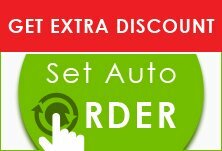 I highly recommended this product for the good quality and real value. Guys at bestvetcare recommended me this product. I was like whether I can rely on this product or not. But by using it on regular basis, I can say that both my pugs are not having any worms now. Good job guys, especially Mark. Thanks!! !